Young Irish Film Makers are launching their annual screenwriting competition aimed at finding short scripts that will be produced as part of the National Youth Film & Animation School which takes place in August 2019. This competition is aimed at 16 -25 year olds and looks to mentor young screenwriters in producing short film scripts that will be shot as part of the summer programme. Selected candidates will be mentored with a series of scriptwriting workshops by an industry professional who will help them craft, shape and redraft their scripts for the big screen. Winners will receive €100 and the knowledge that their scripts will be produced as part of the NYFAS. The National Youth Film & Animation School is funded by Screen Ireland and aims to give first time young screenwriters the opportunity to get a writing credit with Ireland’s film funding body. Four short scripts will be selected as part of the screenwriting competition and the deadline for submission is March 31st. 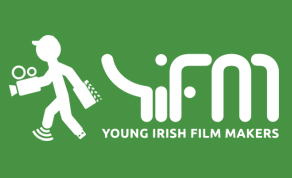 Young Irish Film Makers was founded in 1991 to engage with young people aged 9-25, the remit of the organisation is to empower young people through practical training programmes, to work with professional digital equipment to make films, animation and digital content. Working with over 1400 young people across Ireland annually in schools, summer camps and after school programmes Young Irish Film Makers is committed to encouraging the youth of Ireland to have the skills and voice necessary to work within the ever changing digital landscape. The National Youth Film & Animation School has been in operation since 2002 with aims to build the portfolio and working knowledge of young film makers in all aspects of filmmaking. Partnering with The National Film School in IADT and part funded through Screen Ireland the residential film school brings together Irelands best and brightest young filmmakers in hopes to build peer relationships while studying and producing short films. The residential film and animation schools will accommodate young animators and filmmakers from all over Ireland to immerse them in practical training workshops, intensive shooting days and long hours editing their short films. Script to screen training and mentorship through every step of the filmmaking process, facilitating the students to actively learn the skills and job roles involved in pre-production, film production and finally edit workflow. Portfolio workshops are also hosted by the National Youth Film & Animation School for students who are preparing to apply for college to study film, animation, television or broadcast media. Click here for more information about the screenwriting competition.